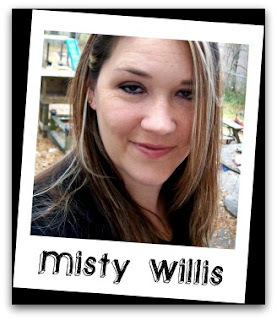 Blog Quick Quotes: Introducing... Misty Willis! Greetings, I'm Misty Willis...mommyof5kidz in the scrappy world. I have been scrapping since I was pregnant with my first son in 1996. Over the years, my style has changed and evolved, but I think I have finally found my "style" if you call clean but layered a style. I like to let the photos tell the story and the embellishments enhance it. My 5 kids are the stars of most of my layouts...but I do have a couple of dogs and yes...even a hubby that might show up on occasion! (LOL). I use quotes a LOT in my scrapping, because I feel that they help to convey my own personal thoughts in a more eloquent way. I was introduced to Quick Quotes many years ago at a ScrapBook Expo, where I took a class with Patsy. Every year since then, I have always enjoyed taking her classes...and I have even been a volunteer helper for her a time or two at CKC Convention! I truly love Quick Quotes products and I am so honored to be a part of this amazing team! Please welcome Misty to the Quick Quotes Team! Leave a comment on this post also for a chance at the giveaway* of Tin Type! Congrats on the "new job" Misty! :) Looking forward to seeing your projects! Congrats on making the team Misty! I'm looking forward to seeing more of your work! hi misty!!! looking forward to see what awesome things you can do with QQ. Congratulations and welcome aboard Misty! So much fun reading a little more about you too!!! Can't wait to see your creations with Quick Quotes! Congratulations Misty, looking forward to see your work. Congrats, Misty! Looking forward to seeing more of your work! Hi Misty! I am looking forward to working with you on the QQ team this year! Congratulations Misty, I'm so glad I found this blog. Congrats on being a DT member! Can't wait to see what you'll be making! Hi Misty. I'm looking forward to seeing your work with Quick Quotes. It was nice to learn a bit about you. Congratulations Misty. Looking forward to seeing your work. Welcome Misty! so looking forward to working with you on the QQ design team.